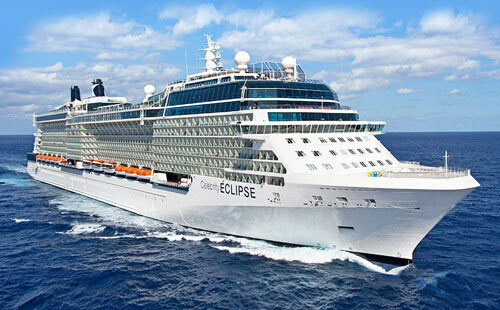 Sail ports up the Pacific seaboard in style and comfort when you join us aboard the glamorous Celebrity Eclipse. San Diego is a world-renowned vacation destination that is vibrant and refreshingly easy to navigate. The region offers a host of attractions including the San Diego Zoo and San Diego Zoo’s Wild Animal Park, SeaWorld San Diego, LEGOLAND California, Balboa Park (the nation’s largest urban cultural park and home to 15 museums), Mission Bay (the largest man-made aquatic park in the country), and the USS Midway Museum to name a few. 70 miles of breathtaking beaches, spectacular mountains and deserts, there is plenty to see and do. The Gaslamp District, named for the gas lamps that once lined the streets, is the place to be, boasting 94 historic buildings in the one-square-mile area. Victorian Era-themed, these distinctive buildings set the stage for the best dining, shopping, entertainment, and nightlife in town. Take advantage of the many fabulous onboard amenities during your days at sea. Wine and dine with live entertainment, take a dip in the ship’s pool, or sun yourself on-deck. There’s no shortage of fun activities and relaxing ocean vistas. Monterey highlights everything that’s best about California. Take a drive down Highway One, winding along the breathtaking Big Sur coastline, and experience the top road trip in the United States. Wander through Big Sur’s redwood groves or sip handcrafted wines at tucked-away tasting rooms where the winemaker might just be the person pouring. Take a surfing lesson or experience the wonders of the Monterey Bay National Marine Sanctuary by scuba diving, kayaking, or by glass bottom boat. Century-old cable cars, Fisherman’s Wharf, Alcatraz, Golden Gate Park—San Francisco is packed with iconic sights. Visitors have access to a wide range of sightseeing services, including bus tours, boat tours, museum tours, self-guided tours, and fishing excursions. Visit Chinatown or the pagoda-crowned Japan Center for a unique cultural experience, or the Victorian neighborhood known as Cow Hollow for upscale boutique shopping. Ocean Beach and Seal Rocks, Union Square, and North Beach are all popular spots for beachgoers. Historic Astoria is the oldest American settlement west of the Rocky Mountains, first established as a fur trading post before it expanded to become the bustling port city it is today. Its storied past is documented in numerous museums, from the Columbia River Maritime Museum with its collection of nautical relics to the Uppertown Firefighters Museum, whose collections of firefighting memorabilia is complimented by the interactive Children’s Museum on the second floor. See the house from The Goonies film, climb the 125-ft. Astoria Column, or ride the Astoria Riverfront Trolley. Gateway for sea commerce. Incubator of jazz and grunge, jets and literature, coffee and computer software. Seattle is as much about reinvention as it is a landscape. There are lakes, mountains, and forests everywhere you look. The rest is an archipelago of neighborhoods studded with boutiques and coffee shops. Catch a salmon at Pike Place Market. Ride the elevator to the top of the Space Needle and take in gorgeous city vistas. Sample a local microbrew in Fremont, enjoy fresh steamers down at the pier, or slurp a bowl of steaming pho in the International District. Victoria is a city that started as Salish Village, spent a roustabout adolescence as a main port for gold prospectors and opium traders, and then transformed itself into an icon of British gentility. Two events were seminal: the opening of Butchart Gardens in 1904 and the completion of the Empress Hotel in 1908. Butchart is a collection of gardens including the Sunken Garden, the Italian Garden, the Japanese Garden, and the fragrant Rose Garden. The Empress Hotel is a national icon. Come in for high tea. Cradled amid towering mountains and sparkling ocean, scenic Vancouver is a modern, cosmopolitan city that blends culture and landscape. Galleries and public exhibits for art enthusiasts, historical sites and districts for history buffs, and scenic hiking trails and botanical gardens for nature lovers are just a small sampling of the city’s diverse attractions. The seawall that borders Vancouver’s coastline is the most popular recreational spot in the city. Stretching 13.7 miles from Coal Harbour to Kitsilano Beach, it wraps around Stanley Park along the way. Gastrobar: Comfort food and craft beer enthusiasts can unite to try over 40 handcrafted boutique beer selections, creative cocktails and a wide selection of a la carte, gourmet comfort food and bar bites that are so satisfying you could make a meal of them. If you prefer wine with your eats, Gastrobar offers an impressive selection by the glass or bottle. With inviting entertainment and great music, Gastrobar offers an atmosphere of casual sophistication. Martini Bar & Crush: Totally cool, from the drinks to the ice-topped bar. Talented bartenders put on a high-energy show preparing an intriguing menu of classic and contemporary martinis, served on an ice-topped bar. Sit back and relax, listening to up-tempo tunes and enjoying a collection of rare vodkas and a portfolio of fine caviars. Cellar Masters: Try a bold collection of both familiar and unknown wines from around the world in this inviting wine bar. To help you explore, we feature the state-of-the-art Enomatic® wine-by-the-glass dispensing system. It will pour your choice directly from the bottle in a 1-ounce, 2.5-ounce or 5-ounce portion as you swipe your SeaPass® card. Our Sommeliers will offer further insight into the fine art of wine selection. Slush: Chill out with a flurry of fresh frozen cocktails located poolside to help you keep your cool. Hand-made, frozen cocktails blended with the freshest ingredients range from Russian Standard Vodka, Limoncello, fresh pressed lemon juice and raspberries to Hendricks Gin, fresh cucumbers and mint, fresh Persian lime and Florida Valencia and Hamlin orange juice, all balanced with organic agave nectar. Several of the cocktails are also available in non-alcoholic versions. Michael Kors: A luxurious, new Michael Kors boutique joins an already superb assortment of shops onboard Celebrity Eclipse. Here you’ll find a spectacular assortment of handbags, wallets, watches, glasses, jewelry and more. And, did we mention it’s all tax and duty-free? The Studio: Picture this—a new way to capture vacation memories. Strike a pose in the new, high-end portrait studio for a truly personal souvenir. This unique space is ideal for capturing vacation photos with friends, family, and loved ones. Lawn Club: A freshly manicured lawn on the highest deck of the ship. This is The Lawn Club. Enjoy casual outdoor activities in a decidedly Country Club atmosphere, and let the grass between your toes take you places no cruise has gone before. Canyon Ranch SpaClub®: Relax and rejuvenate in our serene spa at sea. Experience the unique services of Canyon Ranch in a breathtaking setting—aboard Celebrity’s modern luxury ships. Enhance your vacation with a complete wellness and lifestyle program that increases resilience, restores serenity, and helps you feel rejuvenated. Liquid: Liquid transforms the Solarium into an adults-only, late night club with live DJ and Percussionists, specialty cocktail creations, and spontaneous moments of entertainment. Eclipse Theater: Enjoy a comfortable, intimate atmosphere, bringing you production shows, beautiful musical arrangements, and sidesplitting comedy. Certified Registered Nurse Anesthetists: This program has been prior approved by the AANA for 20 Class A CEC; AANA Code #1037072; Expiration Date 4/15/2019. $100 between February 7, 2019 and March 9, 2019. No refund after March 9, 2019; however, 50% of tuition paid may be applied toward tuition for another NWAS program within the next 12 months. Cancellation must be in writing.